Last summer while visiting the Pacific Coast with my kids, I found the Pacific Northwest so beautiful that I decided to go back and do some backpacking. 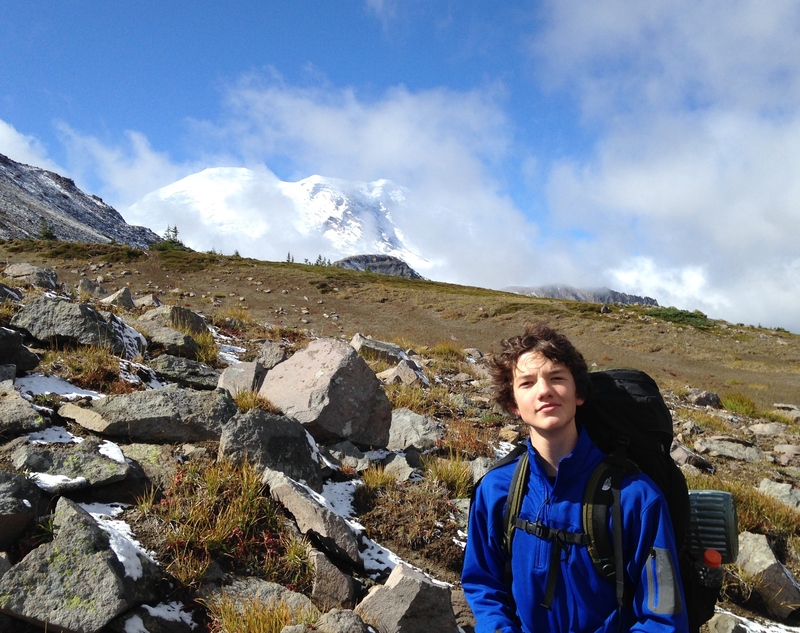 So early September a year later my 15 year old son and I flew to Seattle to hike the Northern Loop Trail in Mt. Rainier National Park. The Northern Loop covers nearly 40 miles in the northern and most remote section of the park and is considered strenuous with an elevation gain of ~9000 feet. It is a steeply up, steeply down trail with little in the way of flat. So I spent the summer exercising and lightening my backpacking gear to prepare for the trip. I also frequented the weather report leading up to the trip. The last report predicted cool temps with some chance of rain the first two days of the hike and sunny and warmer the last two days. I was happy and felt prepared. 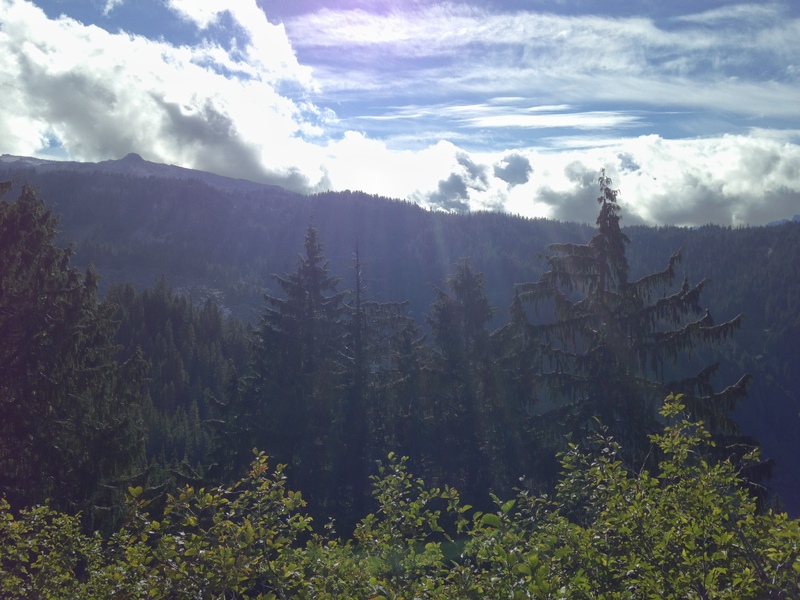 And yet…Mount Rainier is a mammoth mountain sitting near the Pacific coast. They say the mountain makes it’s own weather. Turns out, they are right.